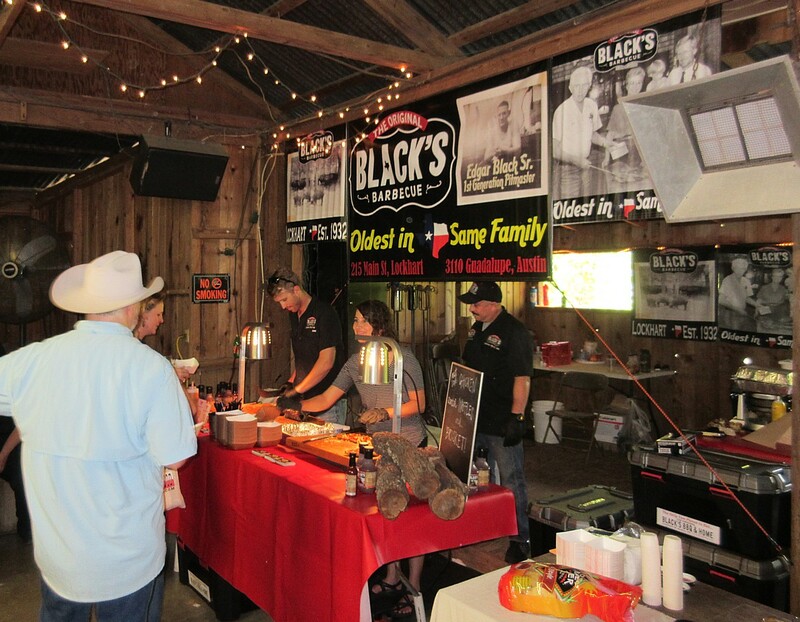 Early tix now on sale for the 5th annual. April 9th, 2017 at NRG park in H-Town. 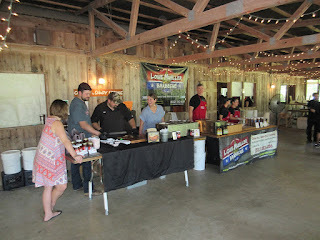 Our second trip to Gettin' Sauced and a great time at a dynamite event. So much good food, so much good beer, and a great venue made this one for the books. Scott and my Mrs were along for the party. 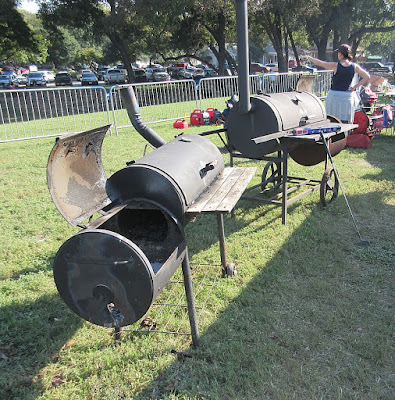 I think Mrs O. is starting to get into this BBQ festival thing. 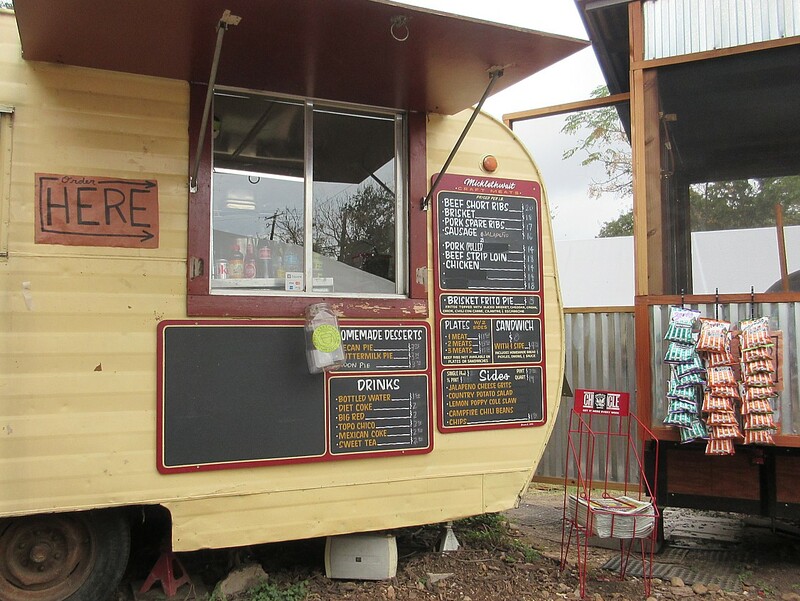 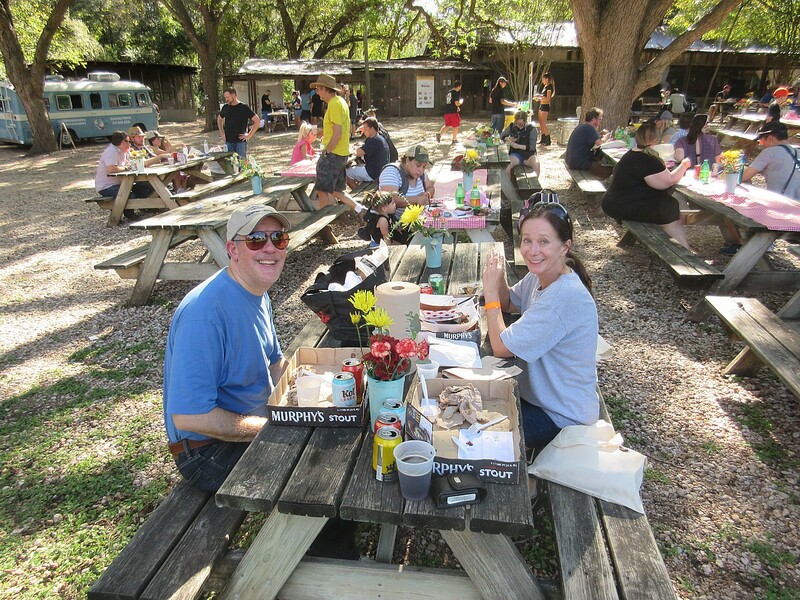 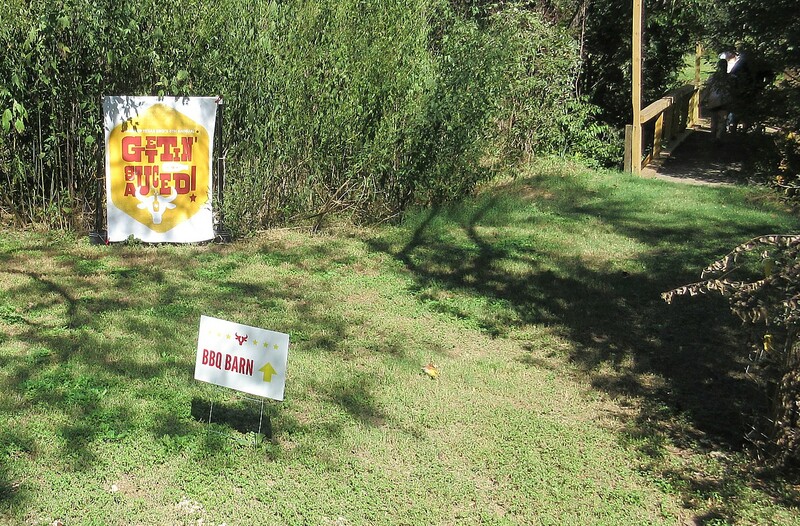 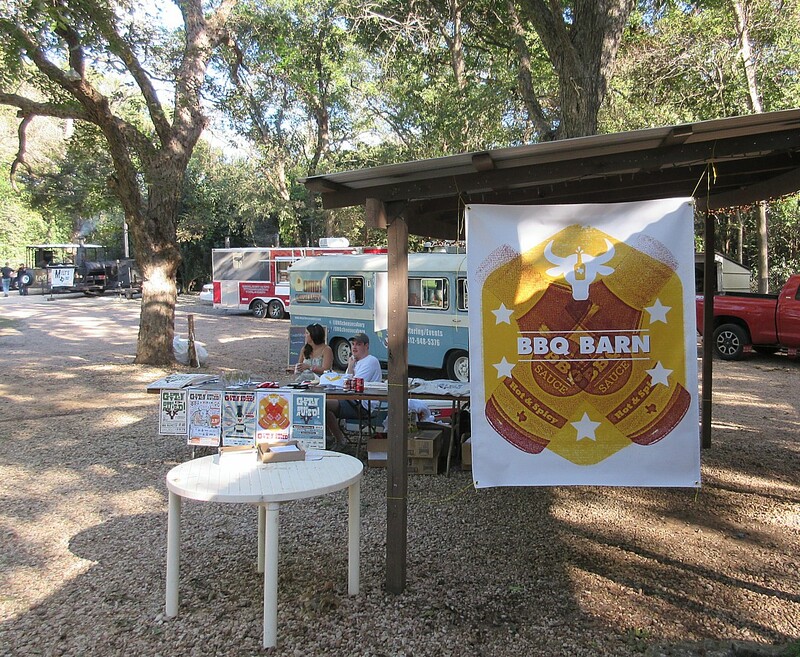 This party is held at the Shady Springs Party Barn in south Austin, just east of the intersection of 71 and 183. 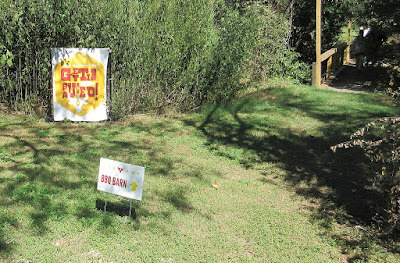 It's a bit off the beaten path, but directions were clear and signage was everywhere. 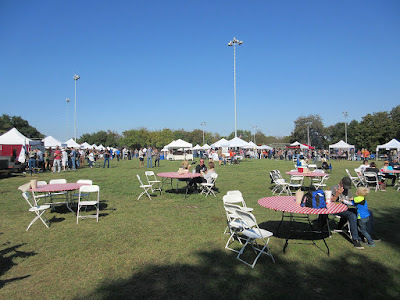 As usual we went for the VIP tickets and showed up a bit early. A handful of folks hung around the entry area waiting for the VIP entry at 2:30 pm. 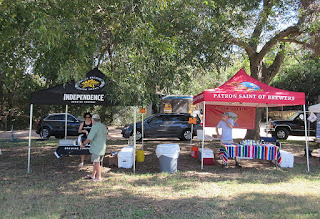 Temperatures were steamy, an unusual 92 in mid-October, but we stayed in the shade most of the day and it wasn't too bad. We checked in, got our wristbands, and picked up our VIP bags then awaited the meaty opening. 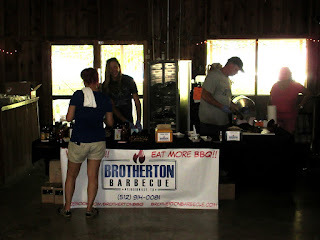 The gate opened right on time at 2:30 (I suggested they needed a checkered flag) and off we went to the BBQ Barn to gather our goodies. 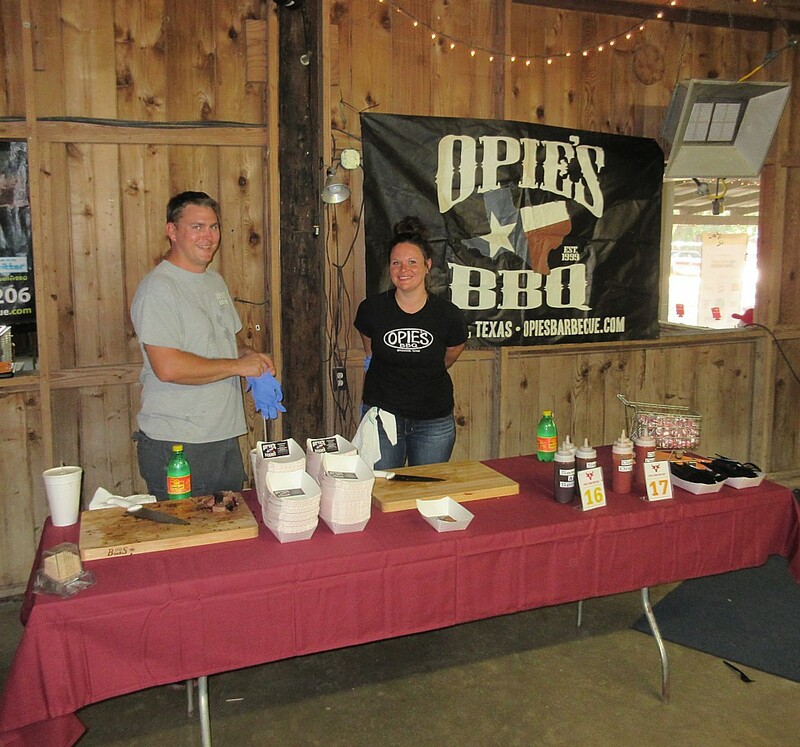 Inside the barn, the BBQ vendors were set up in two rooms with the usual wide variety of products. 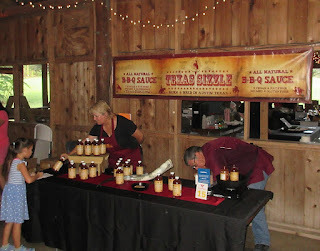 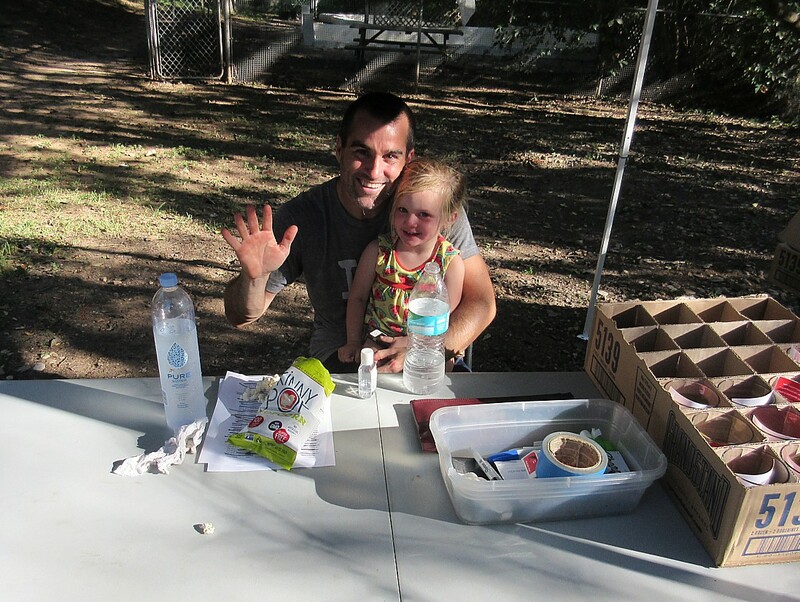 As this was also a sauce festival, many of the vendors also set out sauce samples for the people's choice award. 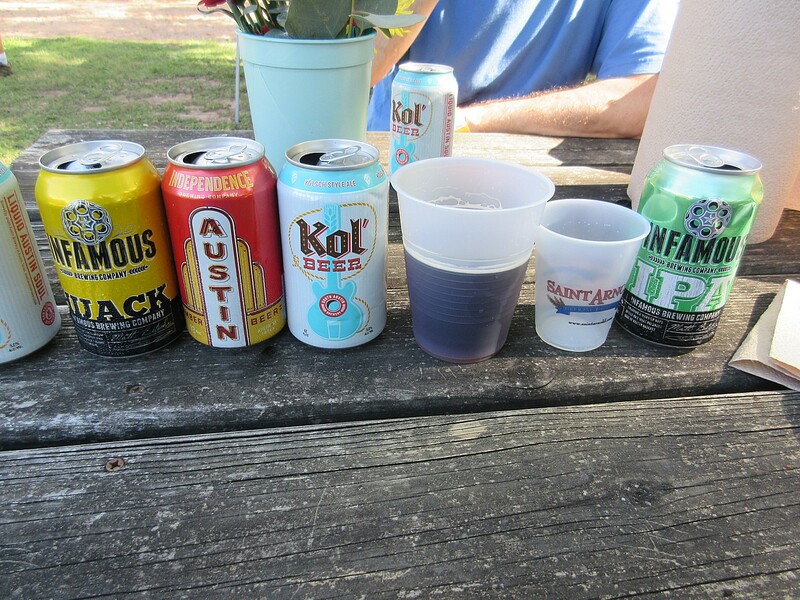 We brought our usual beer case boxes to load up all the samples at one go and you can see the result in the first photo in this post. As at all of these fests, the food provided varied widely. 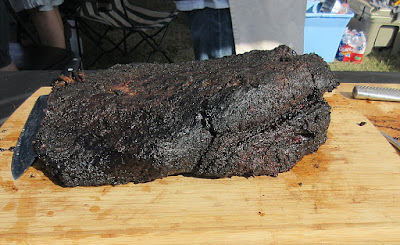 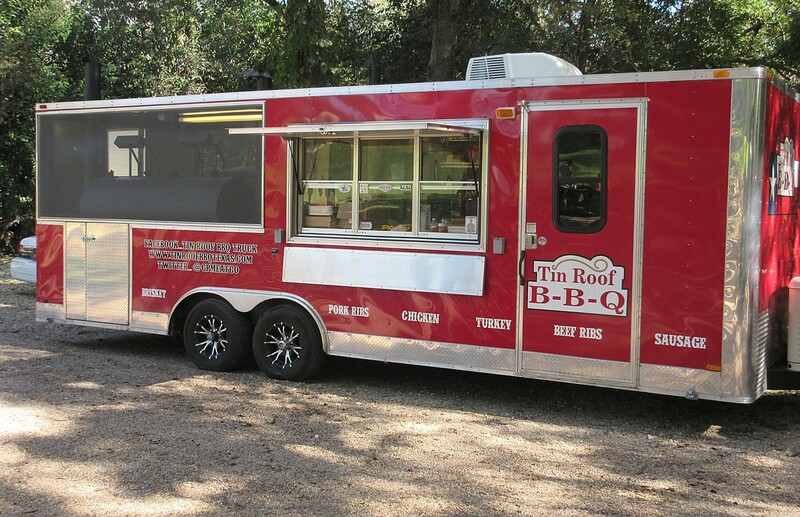 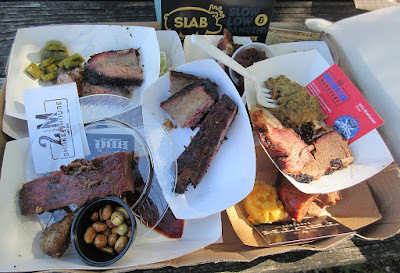 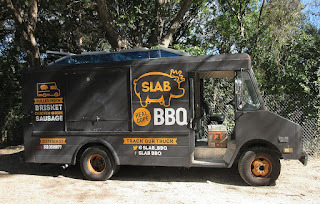 There were a couple of pulled pork tacos, lots of brisket, some sausage, chicken, ribs, boudin, and even some desserts. 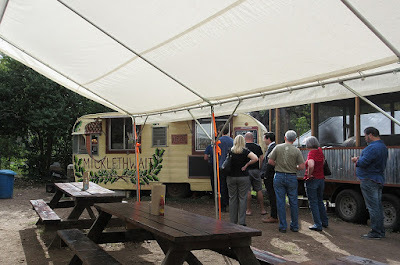 The food overall was excellent. 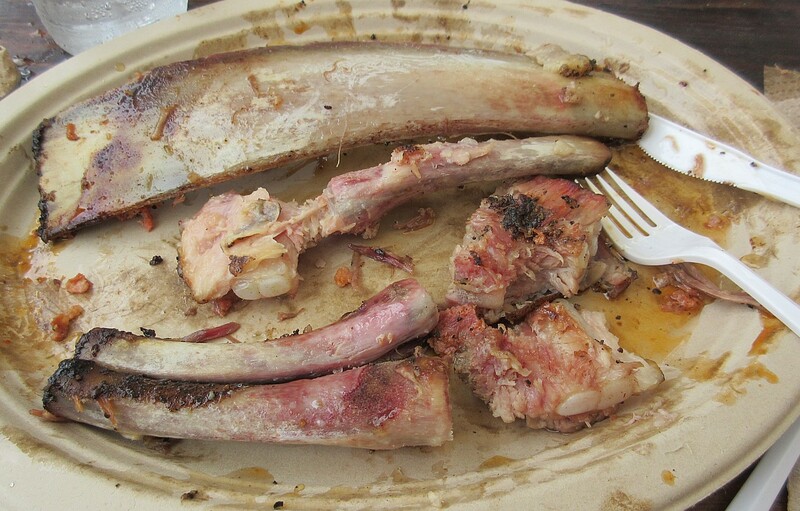 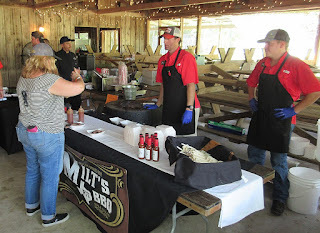 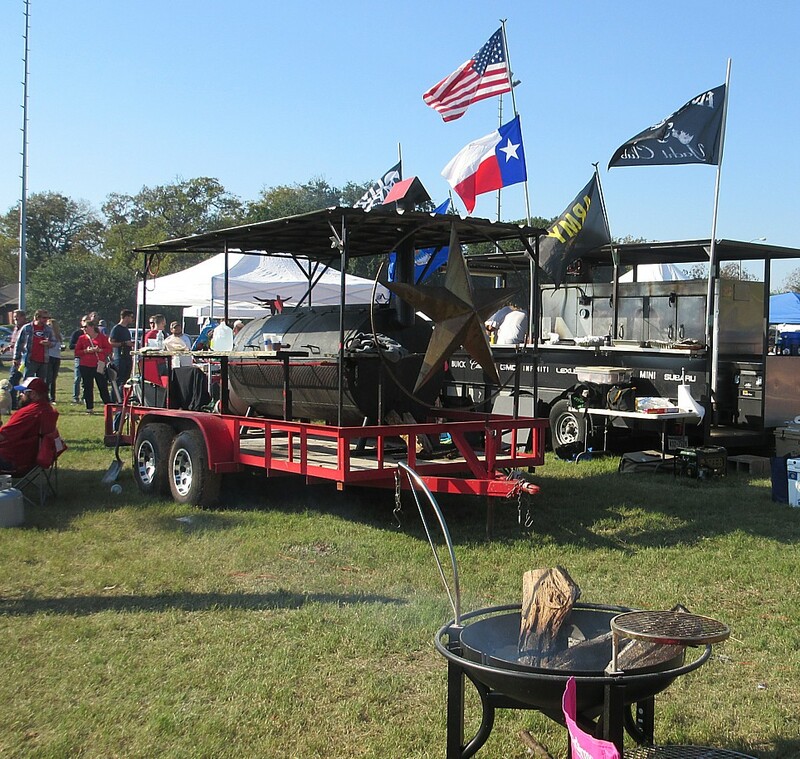 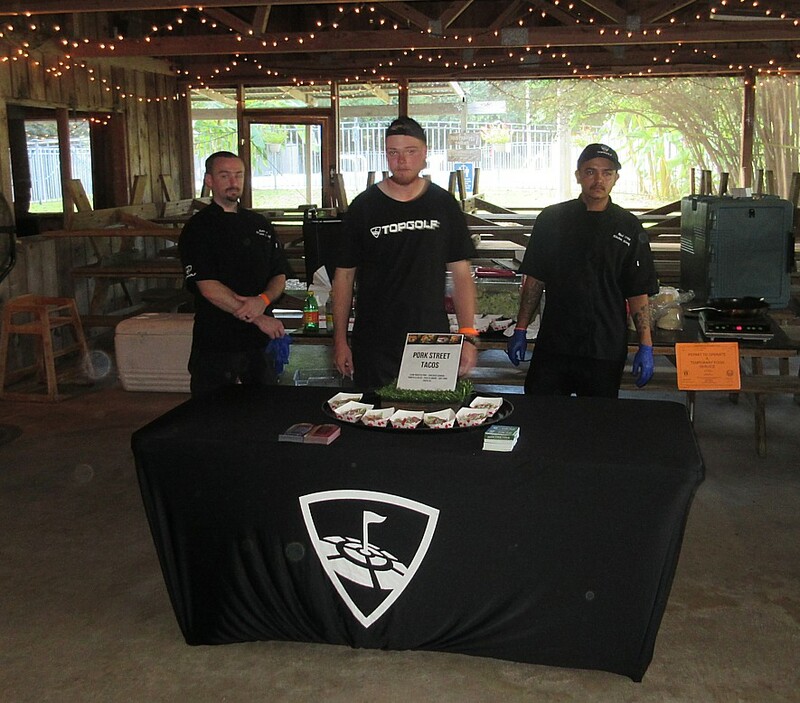 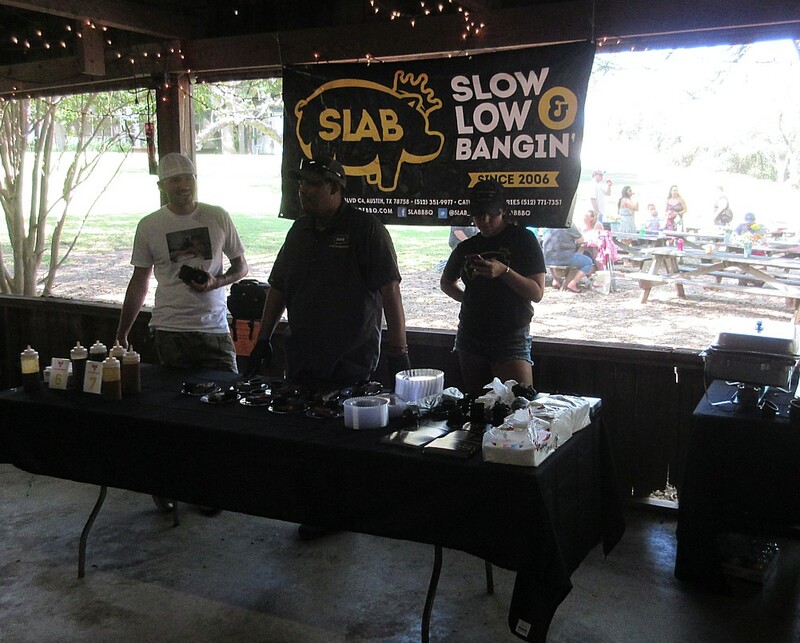 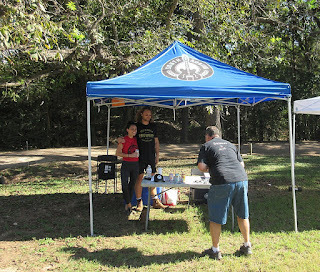 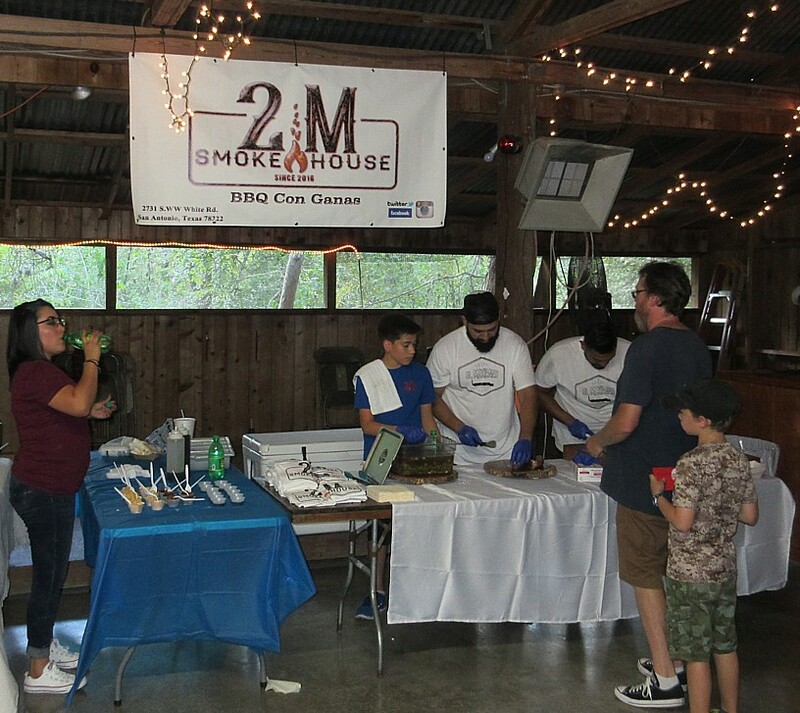 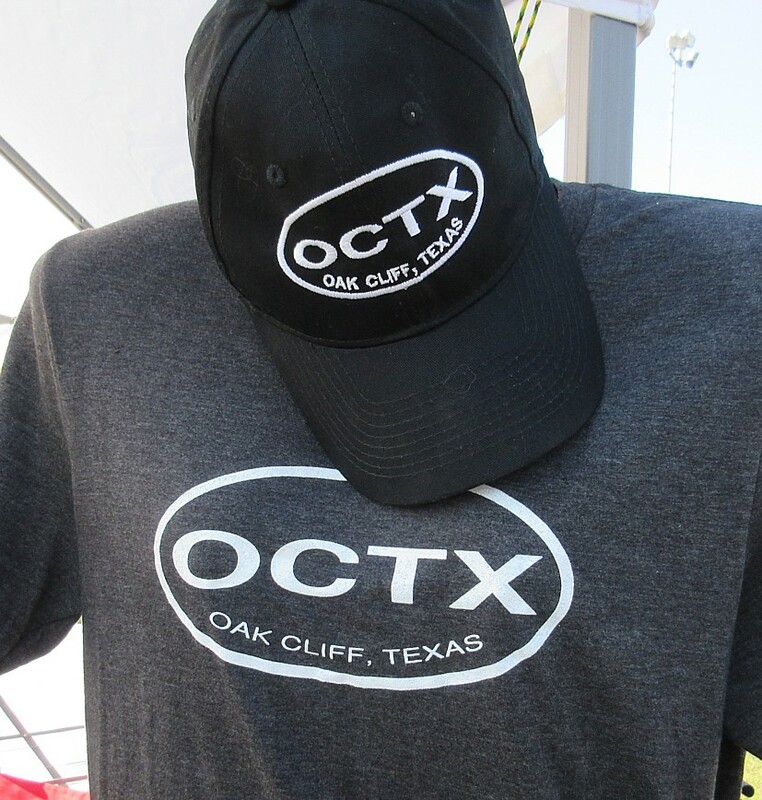 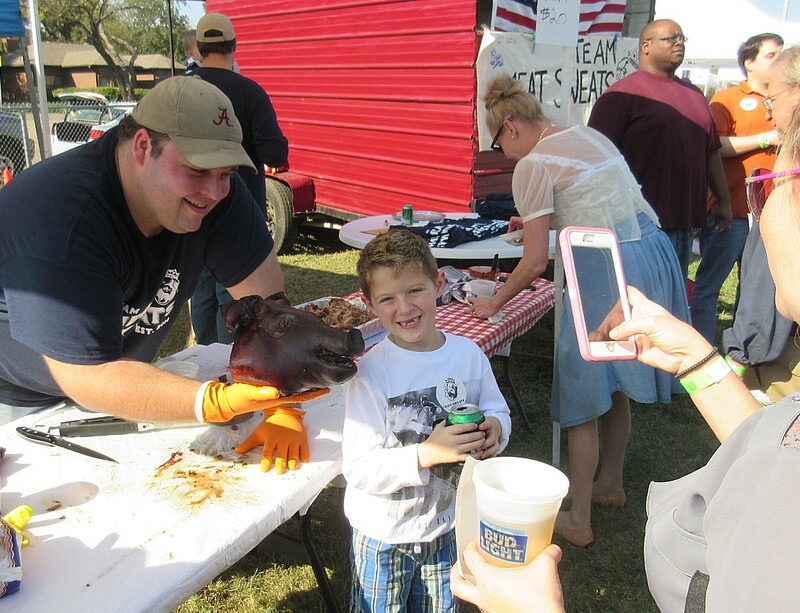 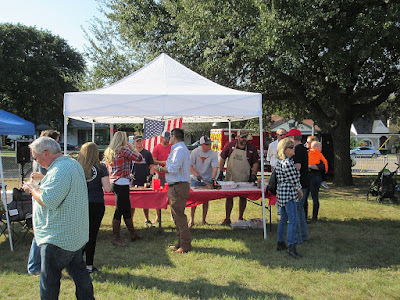 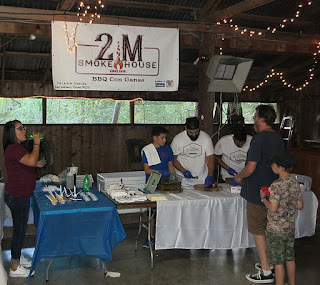 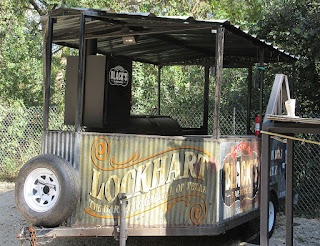 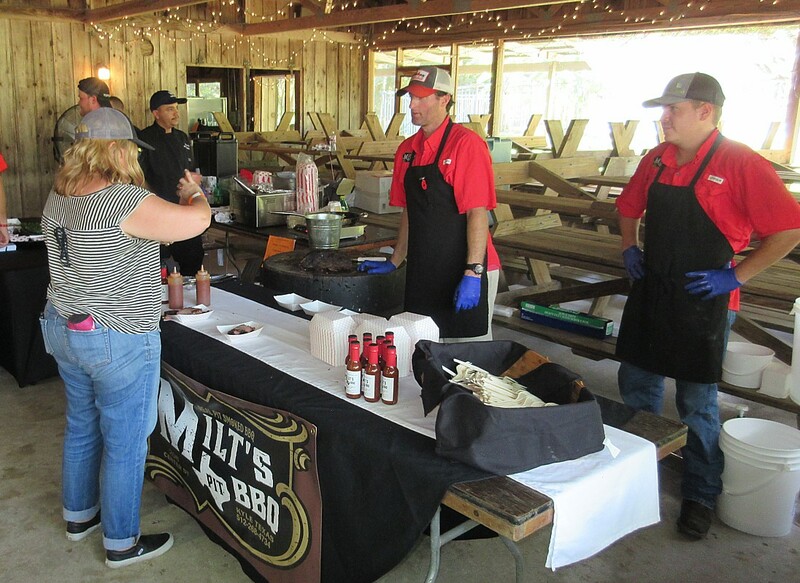 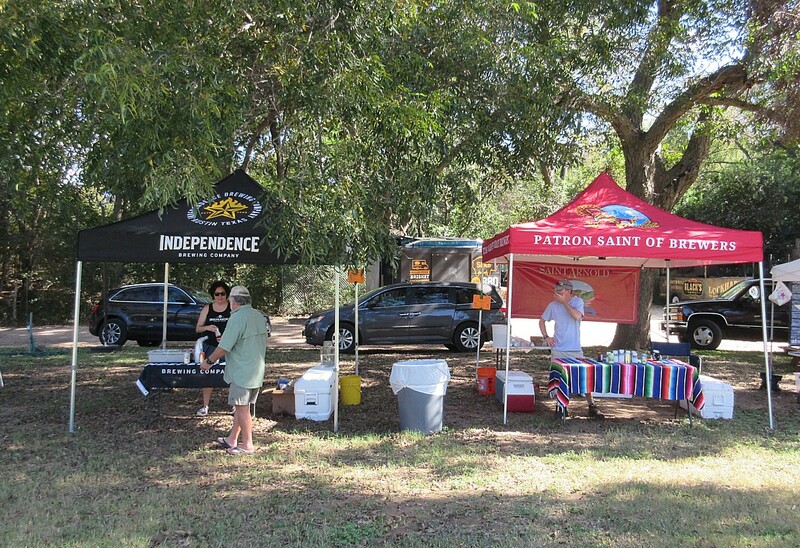 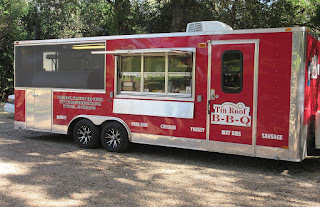 Three of the BBQ booths provided pork ribs which was more than we received at Red Dirt and Smoked Dallas combined. 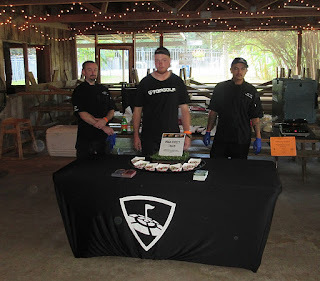 It's also nice to see some catering teams involved instead of just restaurants. 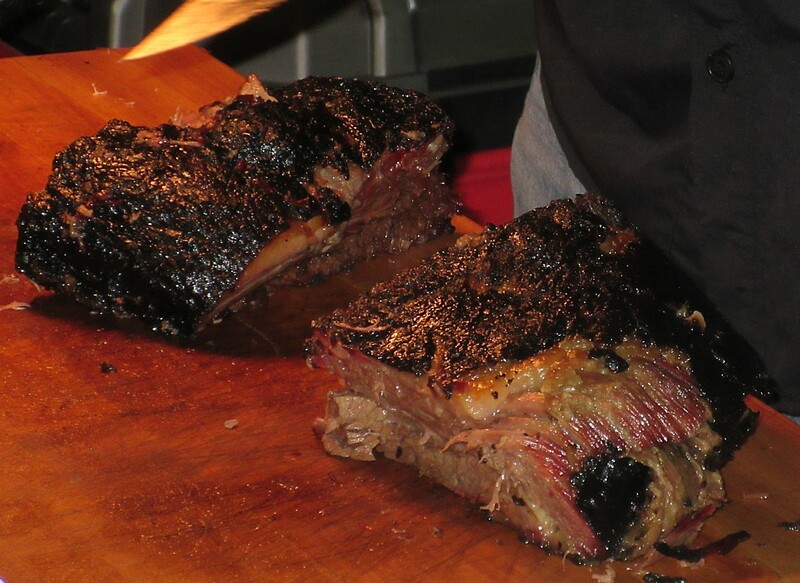 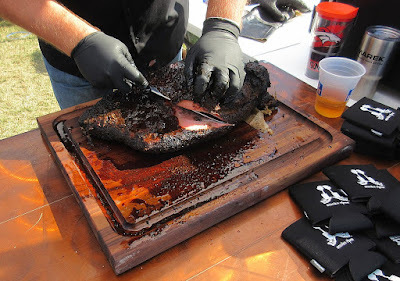 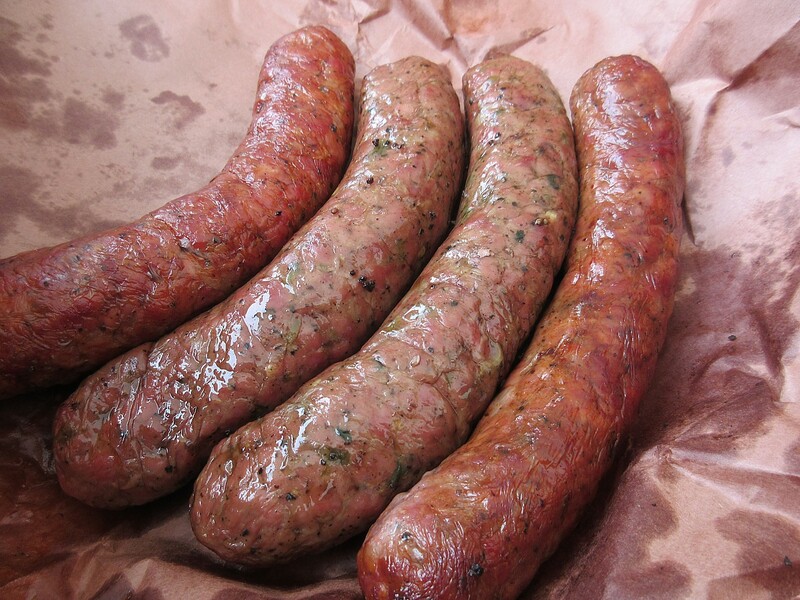 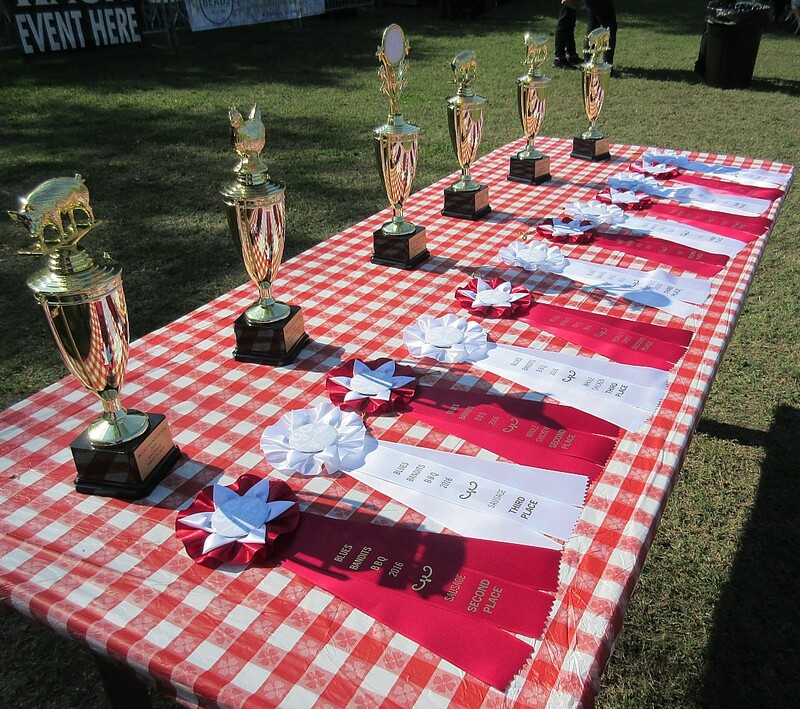 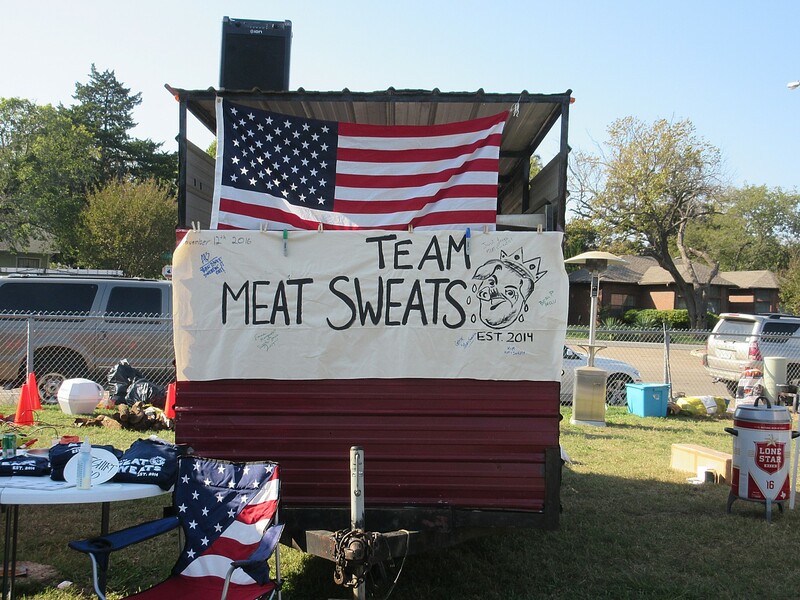 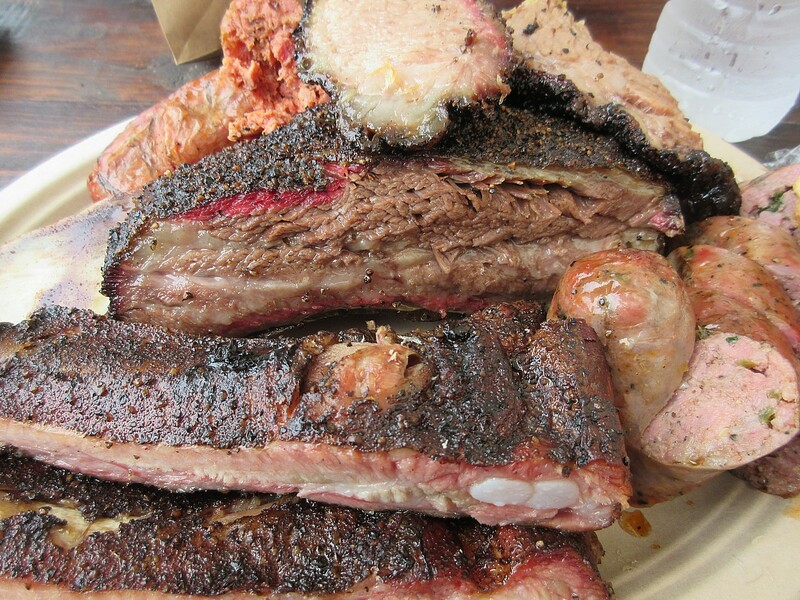 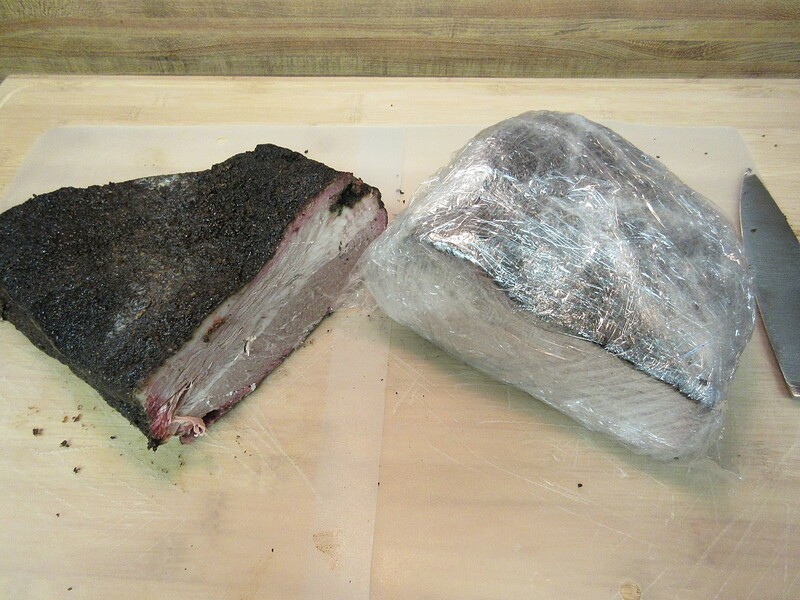 Some of those teams can stand right along with the best known BBQ joints in terms of quality meats. 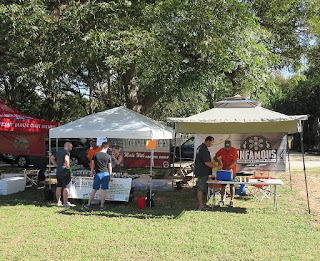 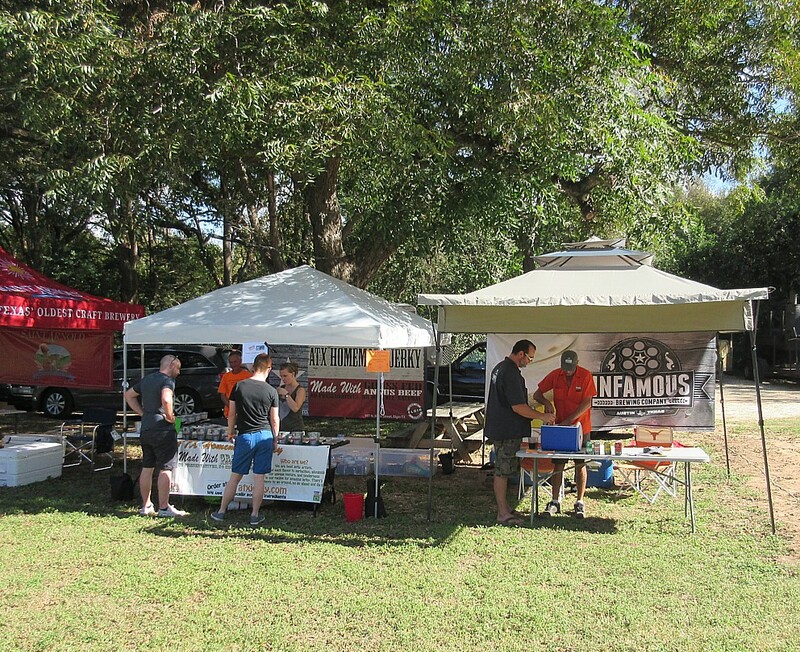 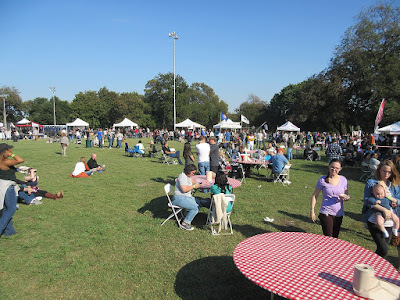 In addition to BBQ the fest featured 6 independent breweries and each brought several samples of their products. Of course, like last time, that led to a whole different meaning of Gettin' Sauced. Wheee! We enjoyed the venue as much as we did last time. 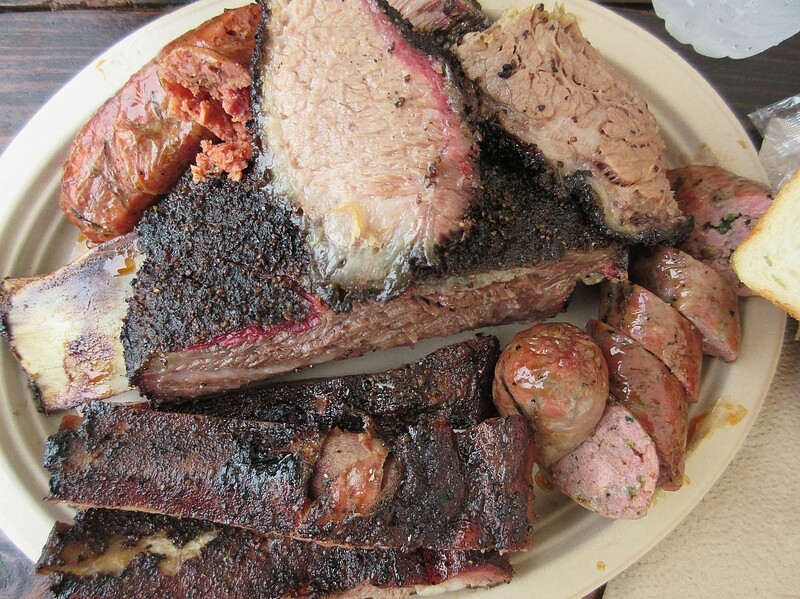 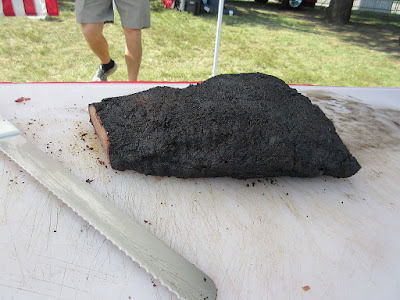 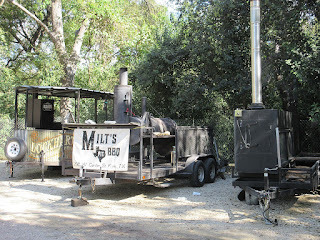 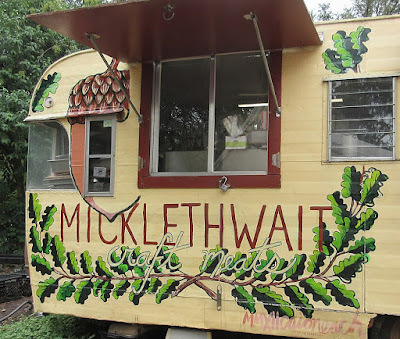 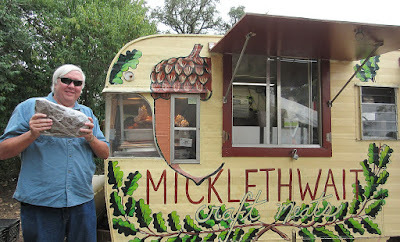 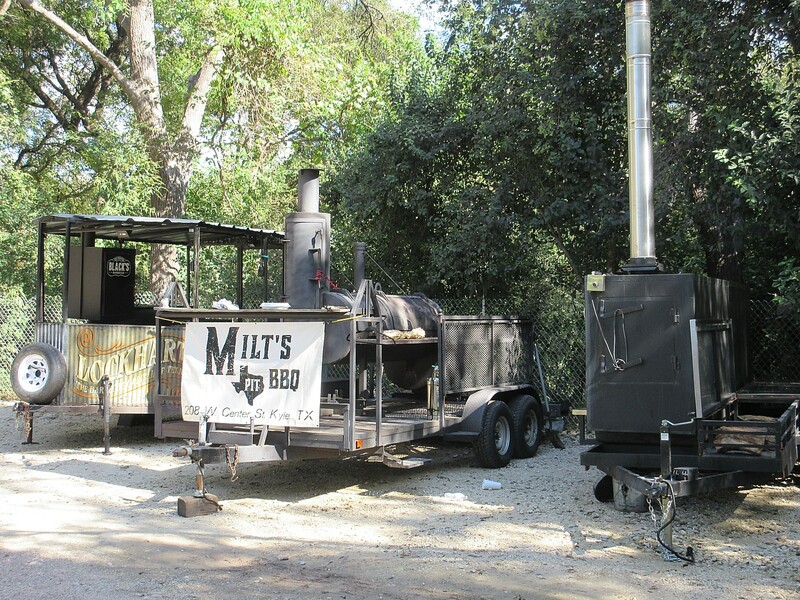 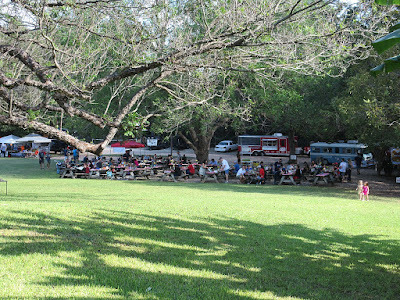 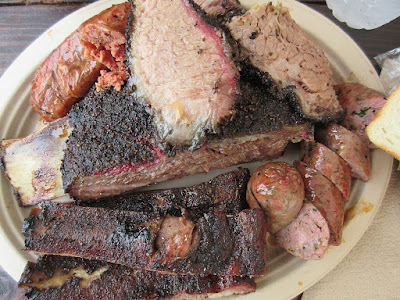 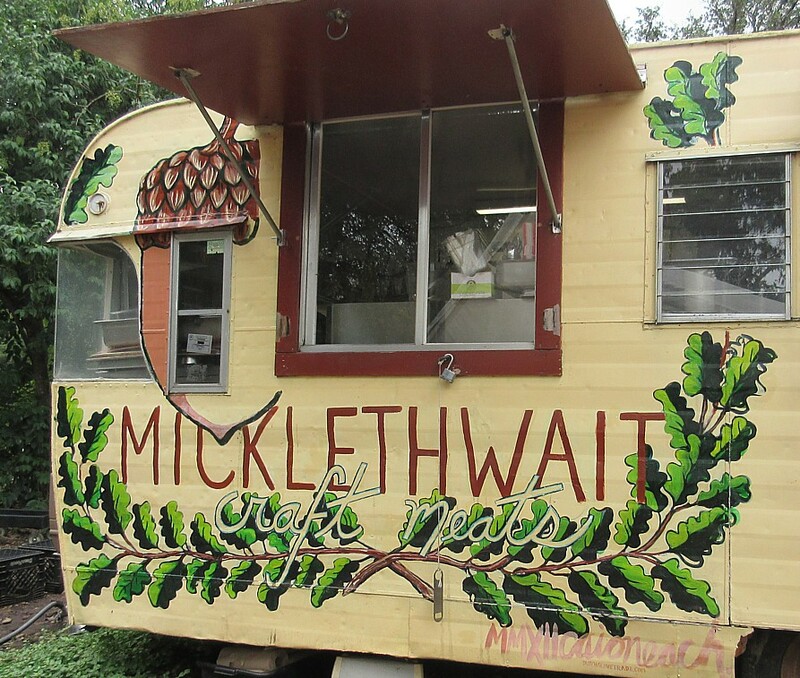 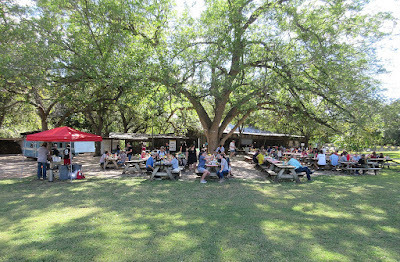 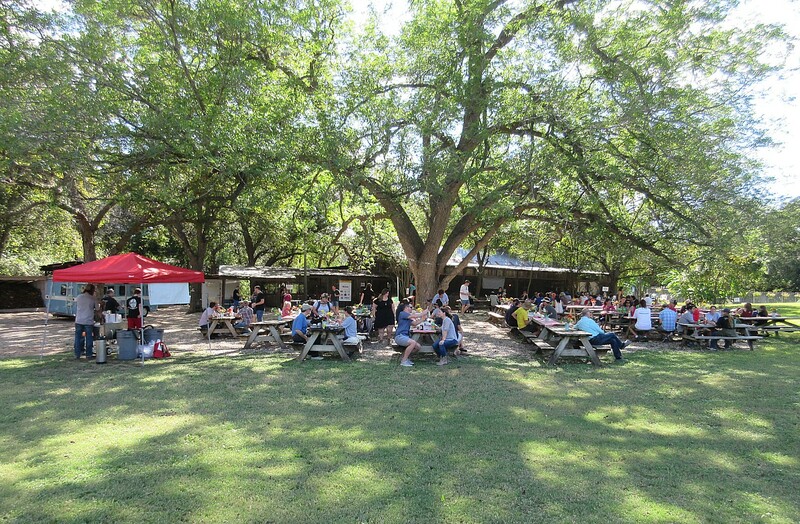 It's hard to beat lots of great Texas BBQ and cold Texas beer under the shade of a huge pecan tree. 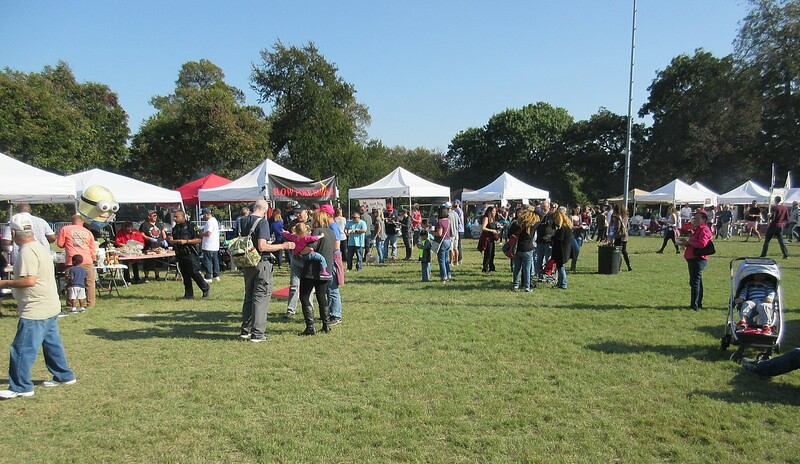 A couple of bands played on the hillside and added to the ambiance. 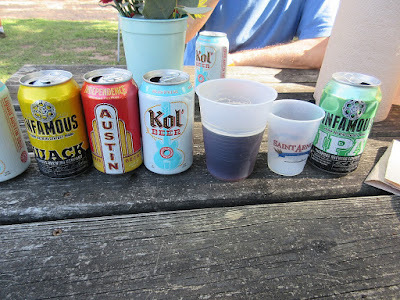 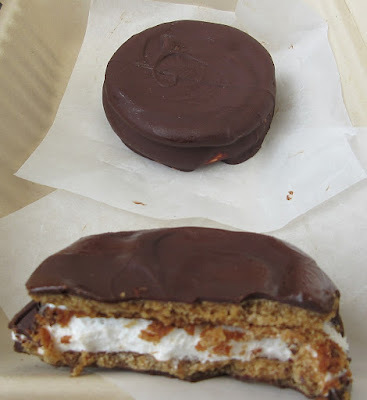 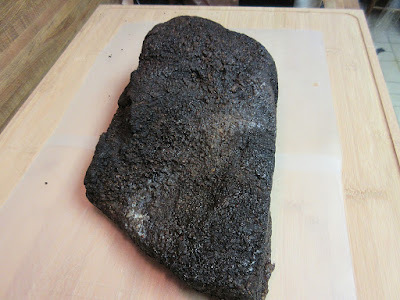 I found some new BBQ joints I want to try and some new beers I want to buy. 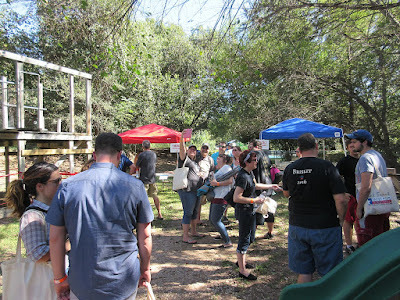 Attendance seemed a little down from the last time we attended, two years ago. That's a shame because it's hard to find a better event than this for anyone who loves BBQ and beer. 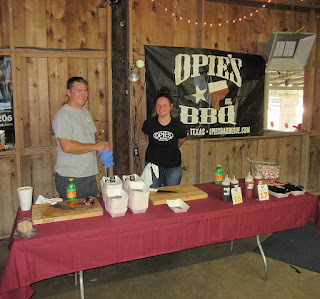 Congrats to Drew, Brad, and the Man-Up crew for putting on what has become one of our favorite BBQ events. 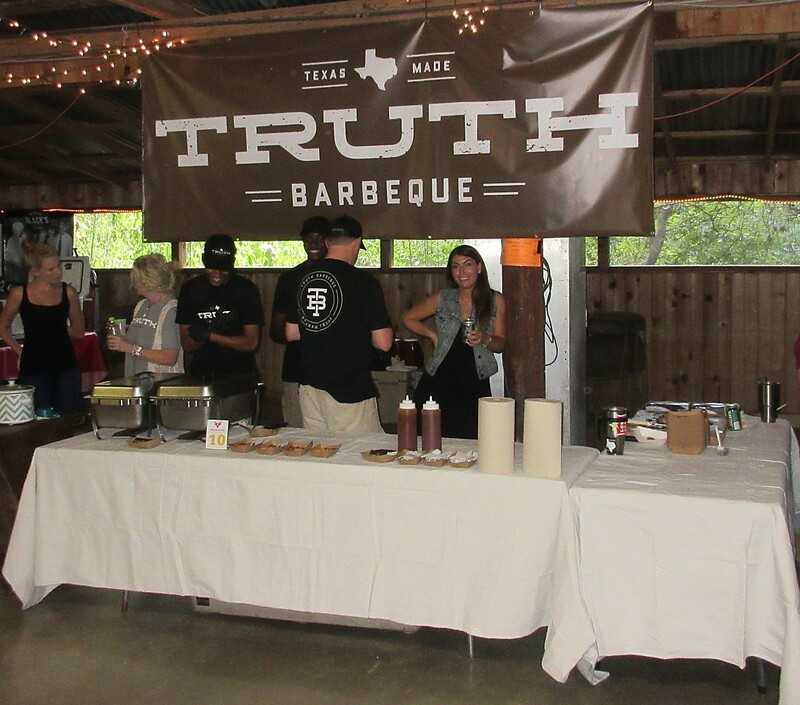 Oh, and for 1/3 of the price of the Texas Monthly soiree for VIP tickets. Well done guys! The post below has photos of some of the booths.